Pneumatic actuators are mechanical devices that use compressed air acting on a piston inside a cylinder to move a load along a linear path. Unlike their hydraulic alternatives, the operating fluid in a pneumatic actuator is simply air, so leakage doesn’t drip and contaminate surrounding areas. 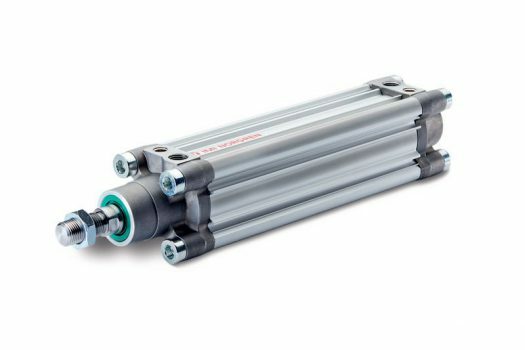 Single-acting cylinders use one air port to allow compressed air to enter the cylinder to move the piston to the desired position, as well as an internal spring to return the piston to the “home” position when the air pressure is removed.